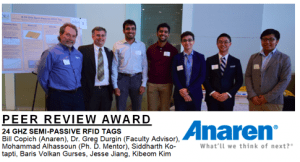 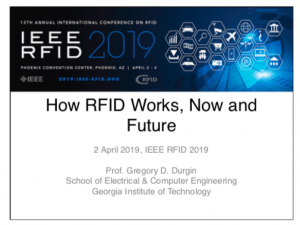 ECE PhD student Cheng Qi, along with co-authors Dr. Francesco Amato and Prof. Gregory D. Durgin, has won the Best Paper Award at the IEEE International Conference on RFID 2019. Held from April 2-4 in Phoenix, AZ, IEEE RFID 2019 is the world’s premier science and engineering conference for RF identification and related technologies. 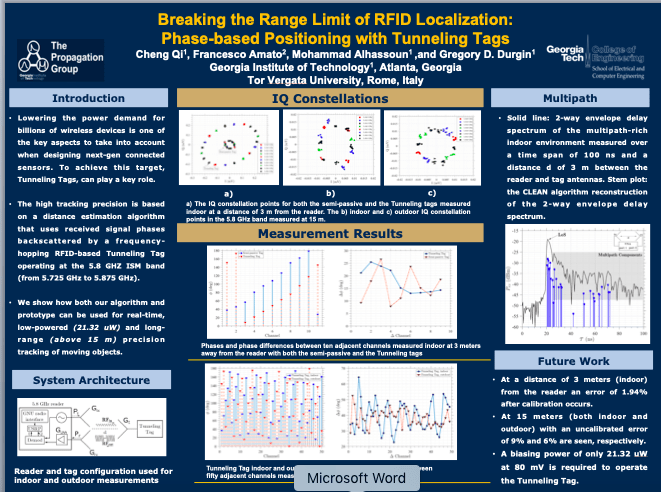 Qi’s paper, entitled “Breaking the Range Limit of RFID Localization: Phase-based Positioning with Tunneling Tags”, presented a radically new way to do ultra-precise localization of a low-powered RFID tag. By using a Georgia Tech innovation — a quantum tunneling RFID tag — and a new algorithm to adjust for radio multiparty, Qi demonstrated centimeter-scale position location of a tag at tens of meters of range. The technique can work at hundreds-of-meters range and through walls as well. 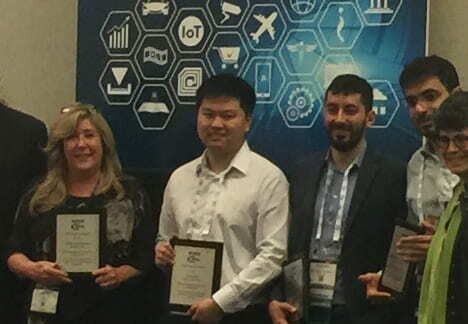 It is uncomfortable to note that 3 of the last 4 best paper awards in the IEEE RFID conference series have been presented to GTPG papers.